Welcome to Klondyke House Bed and Breakfast in Waterville where we offer some of the most welcoming accommodation on the Ring of Kerry. 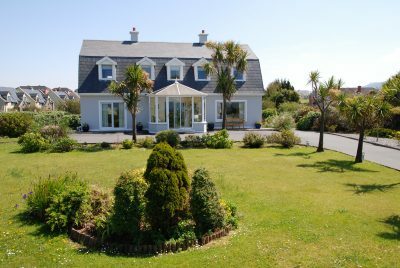 We are superbly located just minutes from Waterville town on the Wild Atlantic Way in a scenic and tranquil location with superb ocean views. Klondyke House B&B is a warm and friendly bed and breakfast run by John and Cirean who greet the visitor with a traditional Irish welcome. Klondyke House is home to some of the best accommodation in Waterville with all rooms having en suite bathrooms, hairdryer, TV and tea/coffee making facilities. The star of the stay is the renowned full Irish breakfast, cooked to order and with produce sourced locally, served with home-made brown bread. Guests can enjoy a private guest sitting room and Wifi is complimentary throughout the house. Free on-site parking is a bonus when it is just a short walk to the town centre and beaches. This is your ideal base from which to explore the Ring of Kerry and the Wild Atlantic Way.